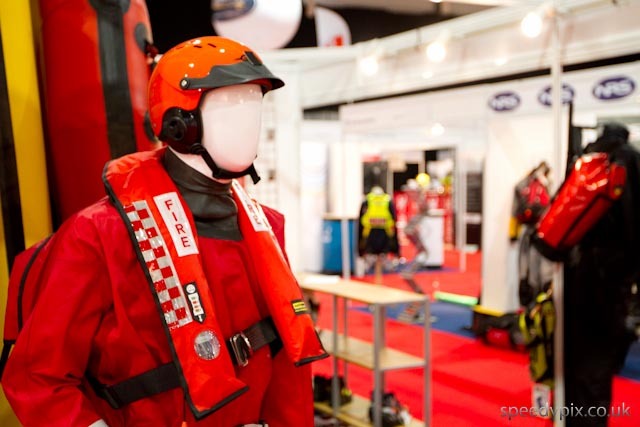 Fire services will be leading the way at this week’s Emergency Services Show with simulations and demonstrations of the latest advances in fire and rescue technology and practice. A record number of visitors from all blue and amber light services and voluntary organisations has already registered to attend the event, which promotes interoperability among all emergency services. The organisers are expecting the biggest show yet with over 400 exhibitors in Halls 17 and 18 at the NEC in Birmingham, the event’s new home. The organisers recognise that the Fire Brigades Union four-hour strike is taking place on Wednesday. However it will be business as usual on the Thursday with all the show’s fire service exhibitors and demonstrations confirmed to proceed. One of the show’s highlights will be the Fire Service College Transformation IGLOO that enables show visitors to find out what it’s like to tackle a fire in a terraced house or to be in the command centre of a major road traffic collision. The immersive and engaging training experience recreates the Fire Service College’s training ground with a complex incident unfolding all around. Leicestershire Fire and Rescue Service is bringing a state-of-the-art car crash simulator to the show and West Midlands Fire Service will be demonstrating the impact of alcohol on driving skills and awareness thanks to its remote control electric go-kart. A programme of water rescue exercises organised by SarBot will take place on the NEC’s Pendigo Lake. Other exercises will demonstrate the capabilities of the only purpose-built underwater search and rescue robot in the world, and a range of sonar devices. The Royal Life Saving Society is holding a Throw-line Challenge to highlight the need for appropriate water emergency training. Other live rescue demonstrations in the outdoor exhibition area include roadside rescues organised by the Road Haulage Association. Derbyshire Fire and Rescue Service will be showcasing The Ex-Tractor, an HGV “transformer” designed to demonstrate the nationally-adopted six phase HGV rescue approach. Visitors can also see the Metz XS Turntable Ladder and West Midlands Fire Service Rope Rescue Team in action, and are challenged to find their way around the dark maze on the ISG Infrasys stand using the new ISG X380 thermal imaging camera. Rescue exercises taking place inside include rope rescues from Crofton Engineering’s specially designed training tower and bariatric and animal rescues on the West Midlands Fire Service stand. West Midlands Fire Service will also be screening a video clip showing the impact this summer’s devastating fire at the Jayplas recycling transfer facility in Smethwick had on the region’s fire service. These are just a few of the events taking place on over 400 stands showcasing the latest technology and initiatives focused on improving public safety and assisting all blue light services, voluntary workers and service providers.